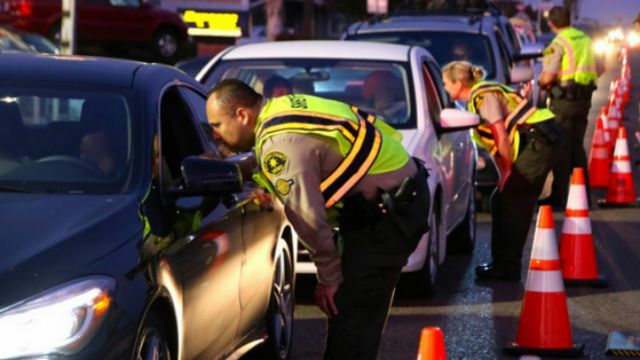 The San Diego County Sheriff’s Department announced Tuesday it is planning a DUI/driver’s license checkpoint on Saturday night in Vista. The checkpoint is scheduled to begin at 7:30 p.m. Saturday and continue until 2:30 a.m. Sunday at an undisclosed location in the Vista area. Deputies will be evaluating drivers’ abilities to safely operate motor vehicles if they are under the influence of alcohol or drugs. As part of the checkpoint, all drivers passing through the checkpoint will be checked to make sure they have a valid driver’s license. Checkpoints are routinely announced in advance as a deterrent to drunk driving. This checkpoint is funded by a grant from the California Office of Traffic Safety.